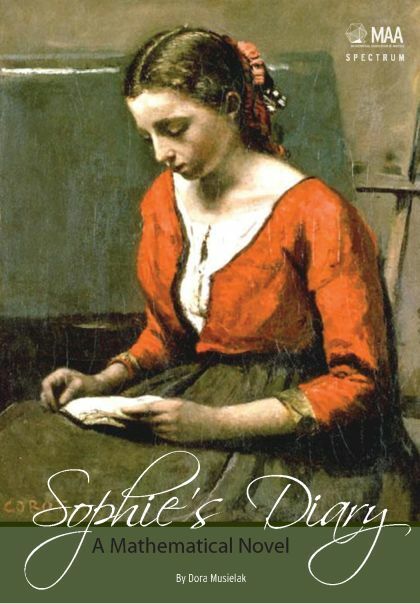 This week’s post by guest author, Dr. Dora Musielak, includes selected excerpts from her book, Sophie’s Diary: A Mathematical Novel. The story is inspired by French mathematician, Marie-Sophie Germain, the first and only woman in history to make a substantial contribution to the proof of Fermat’s Last Theorem. 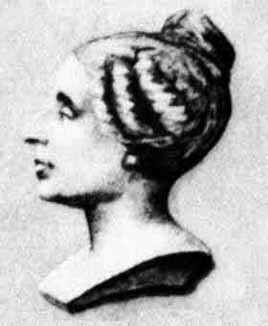 Little is known of Germain’s adolescence prior to the time she began corresponding with great mathematicians such as Lagrange, Legendre, and Gauss. As Dr. Musielak explains in the MAA Books blog post, this book imagines how Sophie might have learned mathematics on her own during a time when girls and young women were strongly discouraged from such pursuits. An aerospace engineer scientist by training, Dr. Musielak is currently Researcher and Professor of Physics and Mathematics at the University of Texas Arlington. Dr. Musielak is also a NASA fellow. She is also the author of Kuxan Suum: Path to the Center of the Universe, a book to that combines astronomy and astronautics to promote the exploration of space. How can I divide 35 in a half, a third and a ninth, and get an even number? It seems impossible! Yet I know there must be a way… . My name is Sophie. Today is my thirteenth birthday and my parents surprised me with wonderful gifts. My father gave me a lap desk of glossy mahogany wood. It has a compartment to keep paper and pens, and a secret drawer that can only be opened by pressing a hidden tab underneath. When I unlocked it, I found a mathematical riddle and a note from Papa, challenging me to solve it. He gives me a year, but I hope to find the answer sooner than that. Oh, I am so excited! My mother gave me a porcelain inkwell, a stack of linen paper, sealing wax, a miniature burner, six bottles of ink in different colors, and a set of quills. These are the best birthday presents ever! I promised my parents to write often to improve my penmanship. Maman says writing neatly and correctly is very important for a refined young lady. This gave me the idea of writing a journal intime, a diary where I can record my innermost thoughts and feelings. I love my father. He taught me arithmetic when I was five. I still remember my excitement when Papa taught me the numbers. I used to think that the arithmetic operations were magic tricks to produce new numbers. Just for fun, I spent hours adding numbers to create others. Now I help Papa with the more complicated calculations he needs for his business transactions. He still calls me ma petite élève. I have two sisters, Angélique-Ambroise and Marie-Madeleine. Angélique is ten years old, a pretty and vivacious girl who talks incessantly, exactly the opposite of me. Madeleine is almost nineteen years old. She resembles our mother and, like her, she is romantic and sweet. I am not like either of them. My sisters like to dress in beautiful gowns, style their hair, and sing and dance. I don’t like any of that. Angélique calls me “peculiar.” She teases me all the time because I like to be alone and would rather read books. I do not care whether my hair is curled, or if my dresses are fashionable. I do not think about these things the way she does. But I am fond of her, just as I am of my mother and Madeleine. I especially love my father with all my heart; mon cher père, he understands me better than anyone. It is easy to verify that the first and third categories yield only even numbers greater than 4. For example for any number such as k = 3, 5, 6, and 7, I write: n = 4(3) = 12, and n = 4(6) = 24; or n = 4(5) + 2 = 22, and n = 4(7) + 2 = 30. The resulting numbers clearly are not primes. Thus, I can categorically say that prime numbers cannot be written as n = 4k, or n = 4k + 2. That leaves the other two categories. So, a prime number greater than 2 can be written as either n = 4k + 1, or n = 4k + 3. For example, for k = 1 it yields n = 4(1) + 1 = 5, and n = 4(1) + 3 = 7, both are indeed primes. Does this apply for any k? Can I find primes by using this relation? Take another value such as k = 11, so n = 4(11) + 1 = 45, and n = 4(11) + 3 = 47. Are 45 and 47 prime numbers? Well, I know 47 is a prime number, but 45 is not because it is a whole number that can be written as the product of 9 and 5. So, the relation n = 4k + 1 will not produce prime numbers all the time. … I discovered a bookshop specialized in mathematics, right on the corner of the quai des Augustins. The shop was empty when we entered, thus allowing me to browse without curious eyes and questioning stares. What I found is indescribable, a treasure of knowledge neatly recorded in the pages of those volumes. New books written by contemporary mathematicians and exquisite translations of ancient manuscripts, all bound in beautiful leather covers and inscribed with golden letters. I was glad that I brought a full purse and purchased Oeuvres d’Archim`ede for 30 francs. It is expensive but I couldn’t let go of it. The book begins with a biographical portrait of Archimedes, then it discussed his memoirs, and it is supplemented with a history of the arithmetic development in Greece. 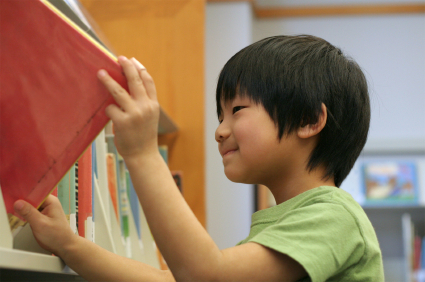 I don’t remember the walk back home, as I was anxious to return and read my treasure. Note: If you enjoyed these select passages, please visit www.sophiesdiary.net to read more extensive excerpts. Study university-level mathematics with online gifted math courses from IMACS! Register for our free aptitude test. Solve weekly IMACS logic puzzles on Facebook.